A true show of Nature's strength. 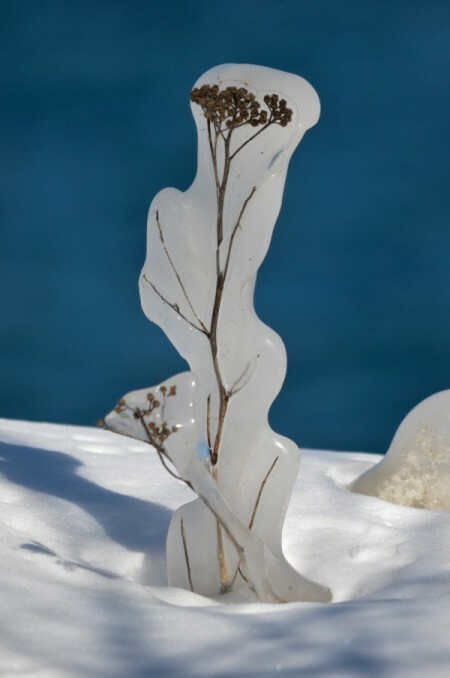 After the terrible ice storm in January, this small plant stands tall despite being totally encompassed in ice. Lovely photo. Nature never ceases to amaze me.